This game is a DICE GAME. The dice has different pictures of the human body and it is easy to play in groups. 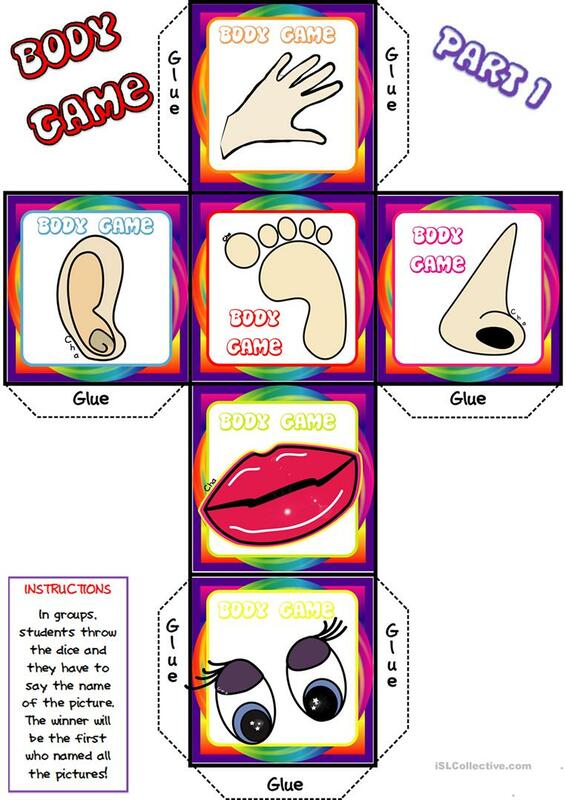 Students can also cut the dice and glue it to play! This game is useful to play with children with learning difficulties or with special educational needs. I hope you find this game useful! Thanks. This downloadable handout is recommended for elementary school students, kindergartners and nursery school students and students with special educational needs, learning difficulties, e.g. dyslexia at Beginner (pre-A1) and Elementary (A1) level. It focuses on the theme of Body.